We are happy to announce that we will be featuring electronic bidding for all Concours silent auction items, courtesy of auction host GiveSmart. All bidding will be done via your smartphone, mobile device, or computer. Make sure your devices are charged before the event so you are ready to bid high and bid often! You can bid from anywhere, anytime before the close of the auction, from your own device! You can even set it up to receive a notification if you are outbid! All bidding will be done via mobile device. There will be no paper bid sheets. To ease event check-in, attendees can register their phone number before the event. You can set up alerts to notify you if you’re outbid on an item. You can set a maximum amount for an auction item and the system will automatically increase your bid incrementally up to that amount if you are outbid. 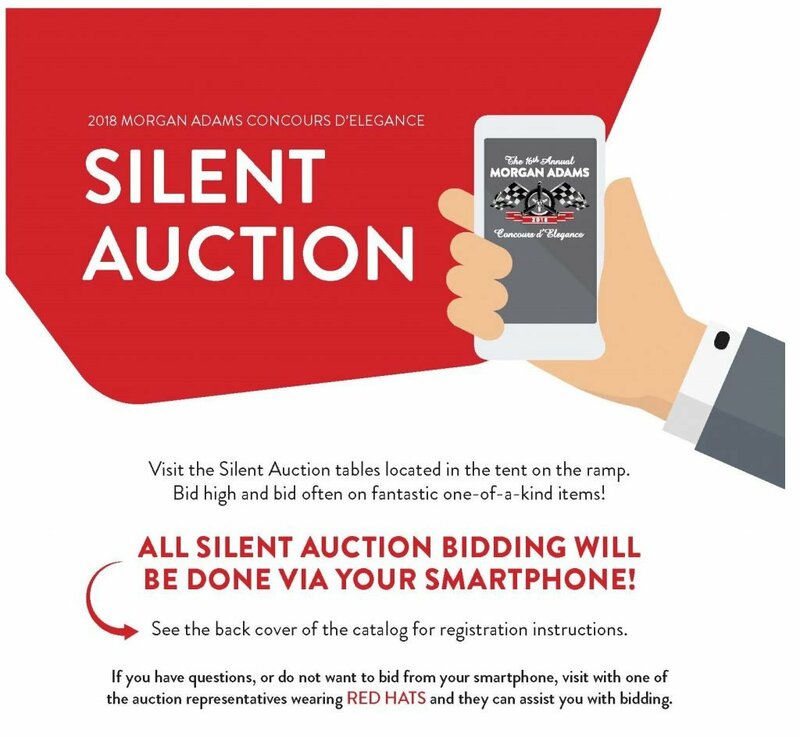 If a guest does not wish to use their mobile device for bidding, there will be iPads available and GiveSmart staff can assist in placing bids. If you have any questions about the Morgan Adams Concours d’Elegance auction, please give us a call at 303-758-2130.